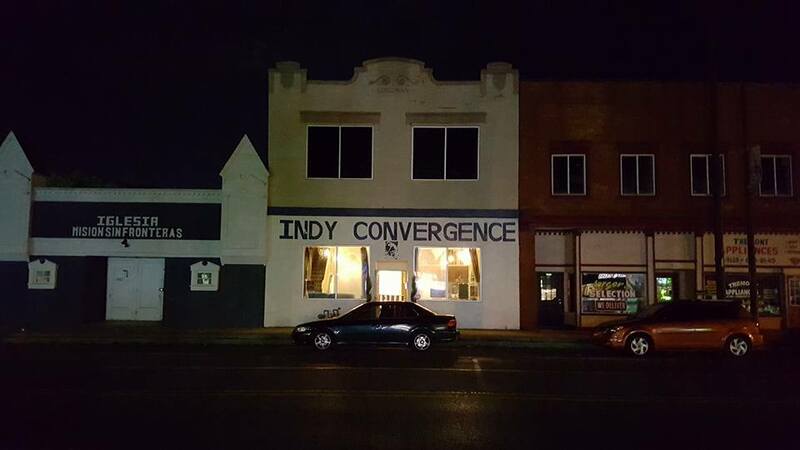 It’s been over a year now since we discovered this gem of a building at 2611 West Michigan on the west side of Indianapolis. And, as many of you know, our acquisition of this space was a quest filled with excitement, disappointment, humility, challenge, persistence, and hope. But, through it all, we prevailed with a place to call home. The possibilities we saw in this building are ever more present now that we’re hard at work on actualizing our vision. Many thanks to Efficient Systems, LISC Indianapolis, and WCDC for your contributions. We’re also trying to hire local for handy work to further support contractors in our neighborhood, so thank you Willie Barnes for helping us get some projects done at the space. 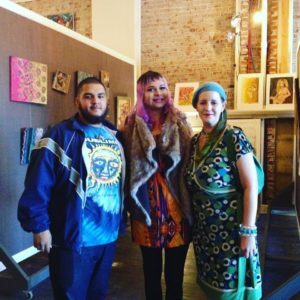 This October we opened our doors to friends and neighbors for the West Michigan Street Festival with bilingual yoga classes and a great display of Haitian artwork. 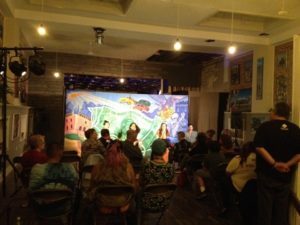 We also hosted Broken Promises by Olga Sanchez, performed by a group from Milagro Theatre in Portland, OR. 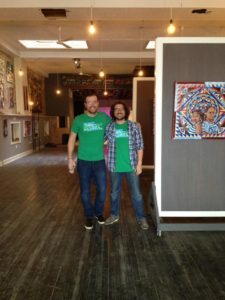 It was presented by the Near West Collaborative and Bryan Fonseca of Phoenix Theatre as part of his Transformational Impact Grant from the Arts Council of Indianapolis. It was a magical night; we loved seeing the space in action with people enjoying art and live performance. Robert found local Near West artists to put up their work, and following the show Soncocho, a drumming group, closed out the night. And, this is just the beginning. We are quite excited to bring this space to it’s full potential. Please, stay tuned for more updates.